Our service and attention to detail speaks for itself. That’s why we are confident that we provide the best business SMS platform on the market. But don’t just take our word for it. See what some of our 165,000 (and growing) clients say about us in our customer reviews. Below, we have selected some examples of the best performing text messaging campaigns. These span a range of sectors and business sizes and showcase the many different facets of mobile marketing. This will help you find the inspiration you are looking for to accomplish a very rewarding and successful mobile marketing campaign. To start your own SMS success story, start a free trial today! The possibilities with mobile marketing are endless and sometimes it can be difficult to know where to start or what works best for your sector. The examples below demonstrate the wide scope of mobile marketing, applicable to every level of usage. We love hearing about how mobile marketing with Textlocal has generated great results for all businesses so if you too have seen a great response rate, return on investment or simply improved communications, please let us know. 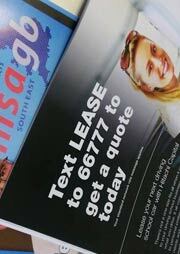 Hitachi Capital used our free text number so that business customers could start a car leasing quote. 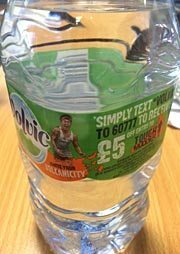 To promote Volvic’s support of ‘Tough Mudder’ events, the drinks brand used our standard rate short number for people to receive a £5 discount voucher to use against entry to the race. 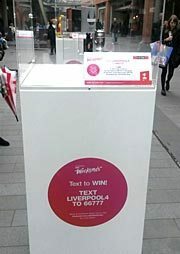 Liverpool One used our freetext short number for a competition to win prizes from the stores in the shopping centre. 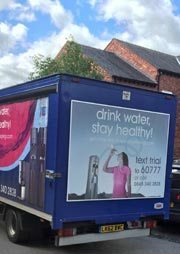 Angel Springs advertised our short number on their fleet of vehicles offering a free trial of their new water coolers. 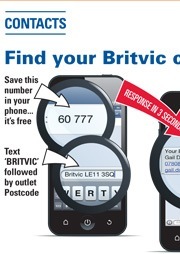 Britvic used our innovative postcode lookup service and one of our short numbers to send customers the contact details of their local Britvic Contact. The Fitness Camp used their business name as a keyword on our standard rate short number to promote a free trial of their ‘drop a jean size’ promotion. 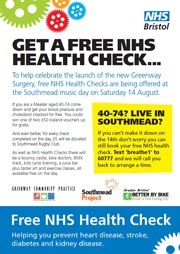 NHS Bristol used a keyword and our short number for local patients to arrange an appointment for a free health check. 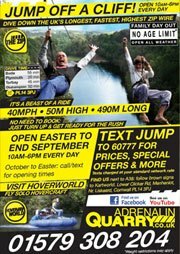 Adrenalin Quarry used the keyword ‘JUMP’ and our standard network rate short number to send customers their latest offers, prices and more. 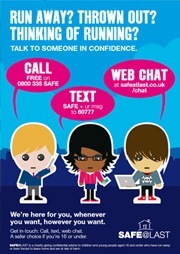 The charity ‘Safe at Last’ used the keyword “SAFE” and our standard rate short number to provide an invaluable service to young people who have run away or been forced to leave home. 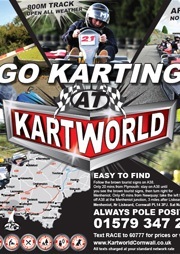 Kartworld used the memorable keyword “RACE” for potential customers to text to our short number so that they could find out their latest prices. 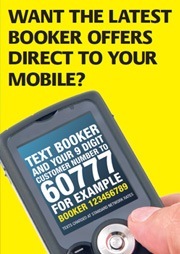 Business to Business wholesaler Booker used our short number to collect opted-in customer mobile numbers so that they can send them offers and promotions. 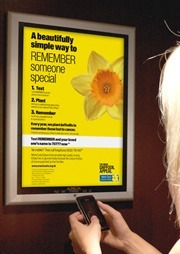 Friends and family could remember a loved one by texting Marie Curie’s keyword “REMEMBER” along with the name of the loved one to a short number so the charity could plant a daffodil in their memory. 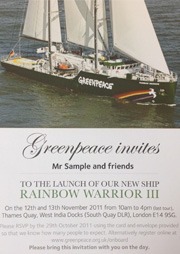 Greenpeace regularly use short numbers and keywords to redeem event invites or share links to petitions, such as “AIR” to our standard network rate number. 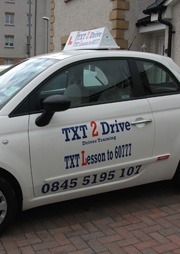 Txt 2 Drive used Textlocal’s keyword “LESSON” to our standard network rate short number to share promotions, offers and to book new driver lessons.